Well it has now been 1 full year that the blog has been up…. Crazy how fast a year can go by…. Below is a month by month year in review, similar to TSN or a news channel, a year in review must be warranted… Boy how we have grown in a year…. The Month of January was full of Beer reviews, and trying to figure out what the Blog would be good for, and what the content of the Blog could be. There was a lot of Fat Tire Trail Reports as well, as this was the first winter for Johnny, Tyler and Mike owning the fat tire bikes. Probably the most we have ridden in the winter in a long long time. Beer Reviews included, Lake of Bays Spark House, Mocha Porter, Amsterdam Big Wheel, Mad & Noisy Hops and Bolts and Red Racer IPA. February was a little quieter than January with regards to rides, and posts, but there was still rides and still Team Van Go activity. We had beer reviews for New Belgium Fat Tire, and Wadadli Premium Gold Lager (Johnny and Karen remote Review). 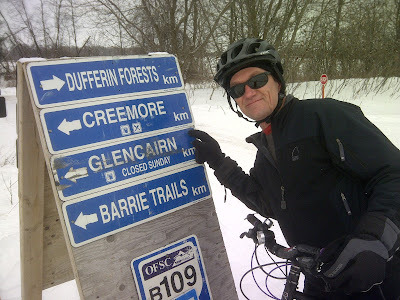 Tyler and Johnny did our first destination ride, from Mansfield to Creemore Pub. We will be doing another destination ride this year, and coming up soon, from Mansfield to Alliston, and looking at a Mansfield to Mono ride…. All in all, February was another good month, and another month closer to Summer!!! March brought us some warmer temperatures, and our first race of the season. Tyler, Johnny and Don competed in the first ever Fatty Frost Cross at Hardwood Hills. 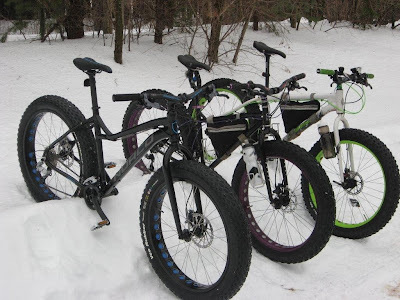 The positive of this event was to create more of a partnership between fat bike riders, and Hardwood Hills, and for this year allows Fat bikes on the Skate trails Monday to Friday. Hopefully next year all week plus weekends… March brought us hope that we would be riding singletrack sooner rather than later! Sadly no Beer reviews this month though…. Another month closer to singletrack and having more riders coming out on rides… Tyler Johnny Mike and Don did the Homage to Homage to Ice due to the event being postponed with regards to the amount of snow in the forest. The Homage to Ice did go on at the end of April, with a very good showing of team van go. The Month of April brought us our first Skinny Tire Trail Report for the year as well!!! Beer Reviews included Grolsch and Hop City 8th Sin. May brought us the Sausage Suit ITT. The first race of the year with team van go on the podium!! In May we finally rode Kalopore for the first time, with a mix of rain snow and sun…. 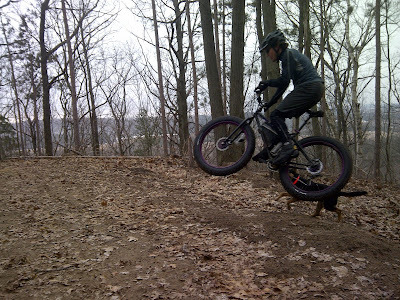 We also were able to go up and ride Buckwallow for the first time. We had a lot of mid week rides as well starting our Monday rides, Tuesday Rides and Wednesday rides were picking up with more people. Beer Reviews included Sam Adams Latitude 48 and King Brewery Dark Lager. June was a busy month for Team Van Go, with a lot of midweek and weekend rides, as well as the 24 Hour Summer Solstice. TVG had 2 teams in the 24hr, a 10 person and a 5 person team. The 5 person team ended up finishing 3rd in their respective category out of 37 teams! Team van go also had it’s new addition unveiling, the new team van go tent!!! You probably have seen it floating around at one event of another. Beer Review included probably one of the worst beers we have had, the Bacon Maple Ale…. Enough said. Team van go podiums again at the Mountainview 9hr race. Tyler finished 3rd in the solo mens category, and we also had a 4 person team in the race. Next year this race has to be put on everyones schedule, a lot of fun and very small event. Also team van go podiums at the Copper Kettle Festival in Creemore. Johnny picked up first place for best period dress. The month of August brought us another great month of riding, but the thought of fall riding was in the back of everyone’s mind. Beer reviews included Quidi Vidi Traditional Lager, and the Mad and Noisy Sunny and Share. September was a slower riding month overall, whether it be weather, or just the season but we did still have some rides, plus the fall 8hr race. The Fall 8hr was our big event for the month, with Senn Tyler and Johnny racing solos, and a 6 person team (Ann and the Gritty Kitties) as well as the 4 person team (Sherriffs Bros and the Cruz Cousin). We had a perfect day for the race, not too hot no rain, all in all a fantastic day. September also brought us into the beginning of carrying lights sometimes not needed but as a precaution. Beer Reviews included Creemore Colaboration Altbeir. October we found our biking group getting a little smaller due to some cooler temperatures. Ride wise we picked it up compared to September thought. October was a big month for team van go as a whole. 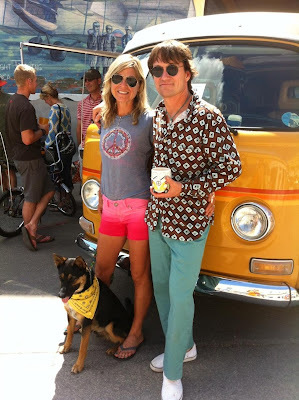 Team van go was introduced as a Club with IMBA. This is the first step towards team van go hosting an event in Dufferin as well as providing insurance for rides, trails etc. 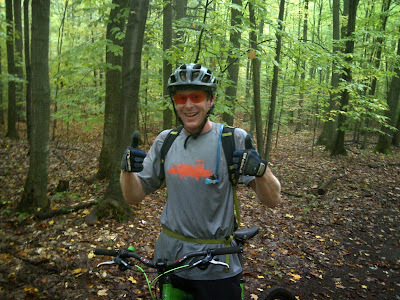 October also brought us out on some new trails in Mono. October we also saw the leaves start to drop and the temperatures fall. There were no Beer Reviews in the month of October… what a shame! November saw the blog have a design revamp to what you see today. It was also a very busy month, with rides, travels for some to Arizona, and our first snow ride of the season! 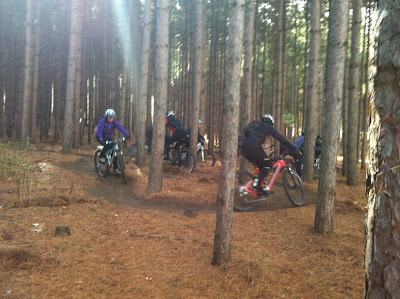 We also hosted a few larger group rides at Mansfield with some new people coming out to show them the trails. We had some great days for riding again, cooler temperatures smaller groups, but still going strong. Beer Reviews Baron Bohemian Tmavy Lezak, Amsterdam Brewery, and New Belgium Fat Tire Ale. mmm beer. Yup, we are now in December, well the end of the month, and other than a few injuries to some riders, we are still riding. December will be know for the month of the Fat Bike. We are now at the point where you need a fat bike to ride, snow mobile trails are groomed, and there’s about 1-2 ft of snow in the forest. 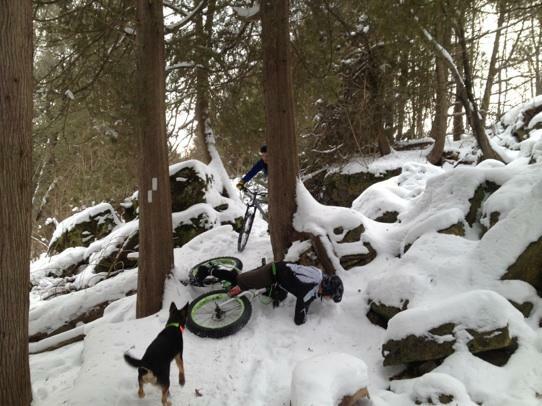 That being said, we do have a new fat bike rider, Don and his Norco Bigfoot. We have some great rides over the later part of the month. We also had a group snowshoe at Mono cliffs with a fairly large group as well. Beer Reviews included Trafalgar Ales & Meads: Maple Bock, and Amsterdam Brewery Tempest Imperial Stout. Well that is a brief overview of the year, and to think of what we did, and what was accomplished this year, it has been incredible. It’s the beginning of things to come for sure!!! Cheers to everyone, happy new years!